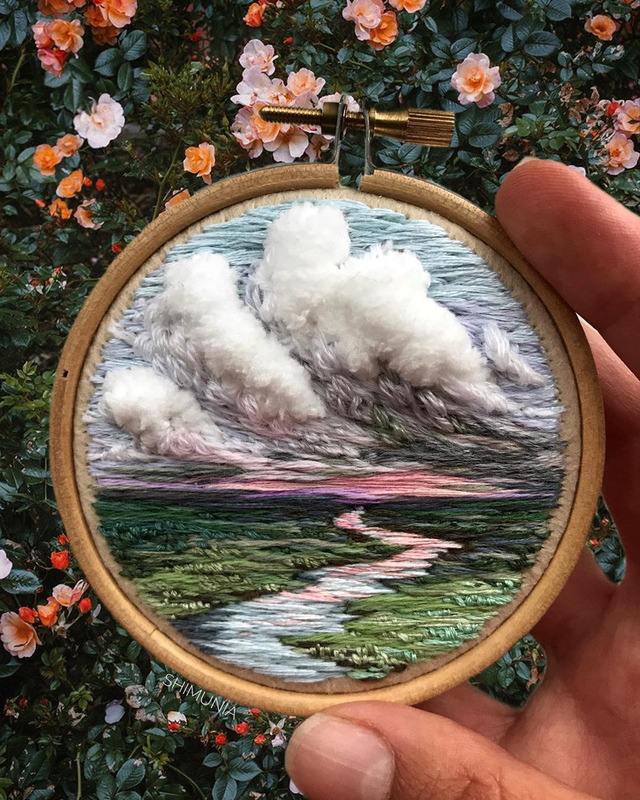 russian artist vera shimunia continues her masterful series of embroidered landscapes. 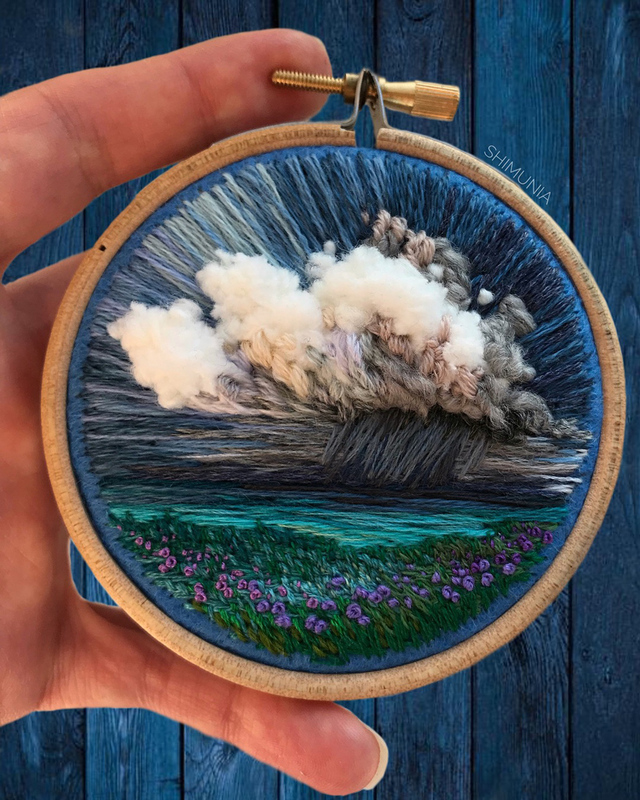 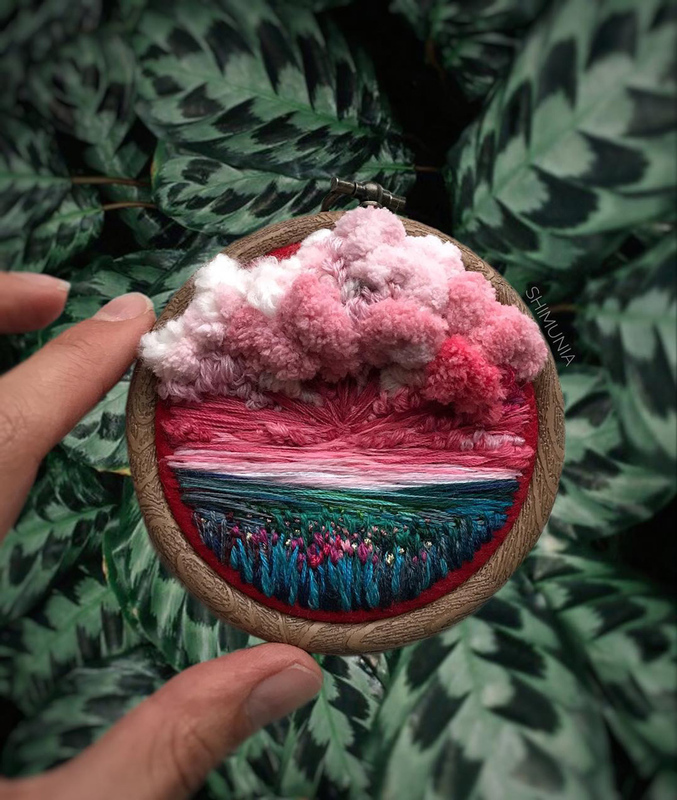 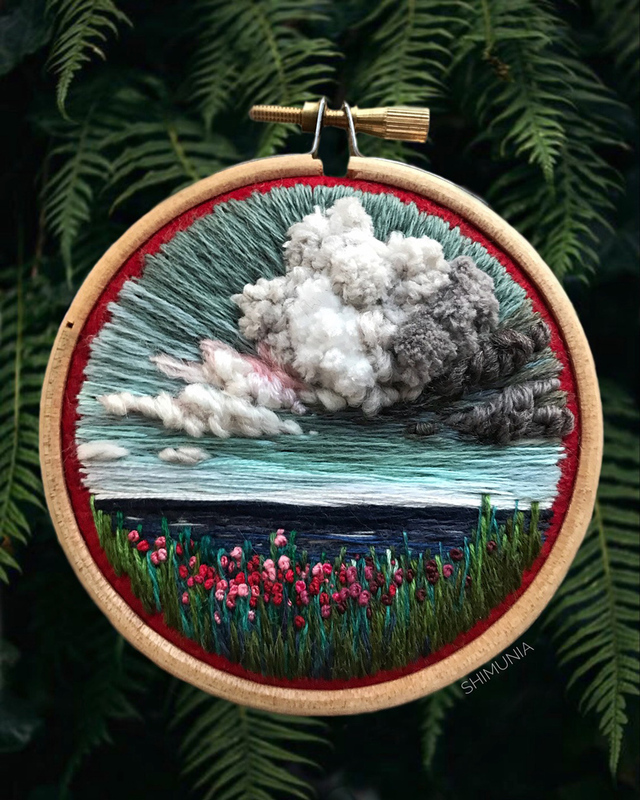 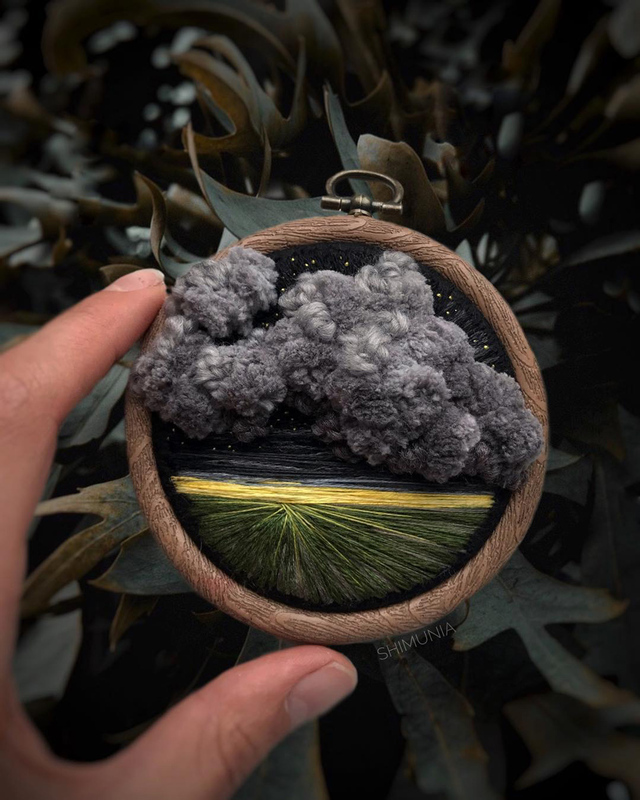 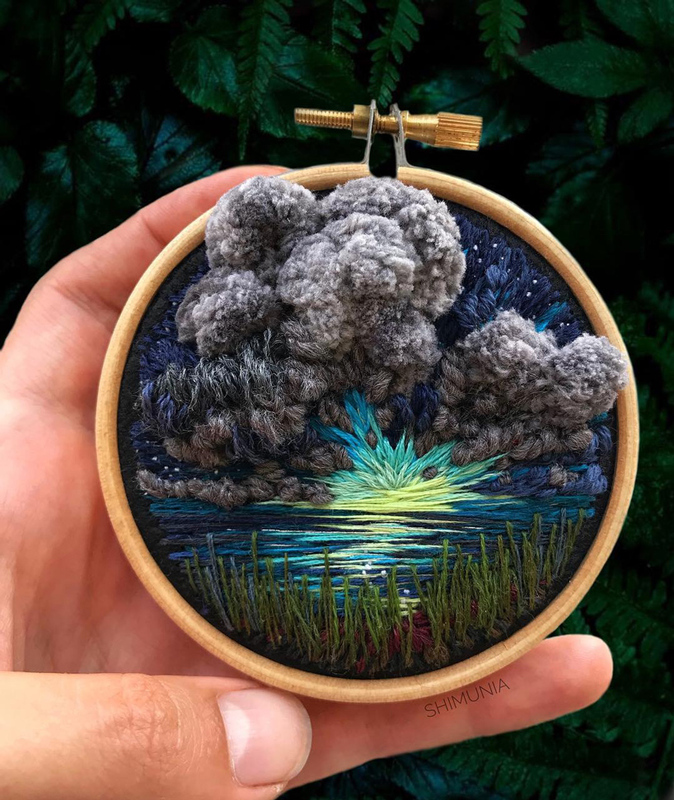 shimunia captures the illusion of painted scenes with intricate needlework, portraying sunsets reflecting off of water, fields of flowers disappearing into the horizon, and lifelike storm clouds over distant rain. 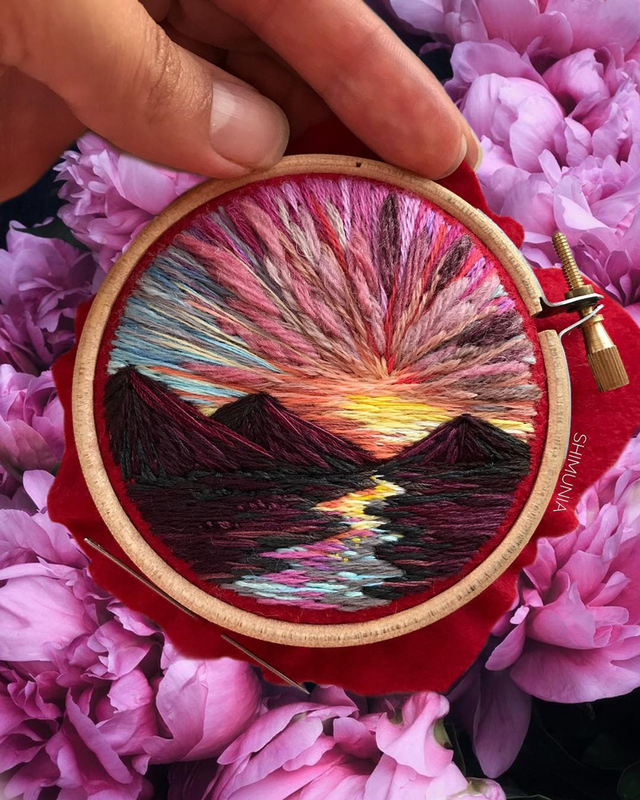 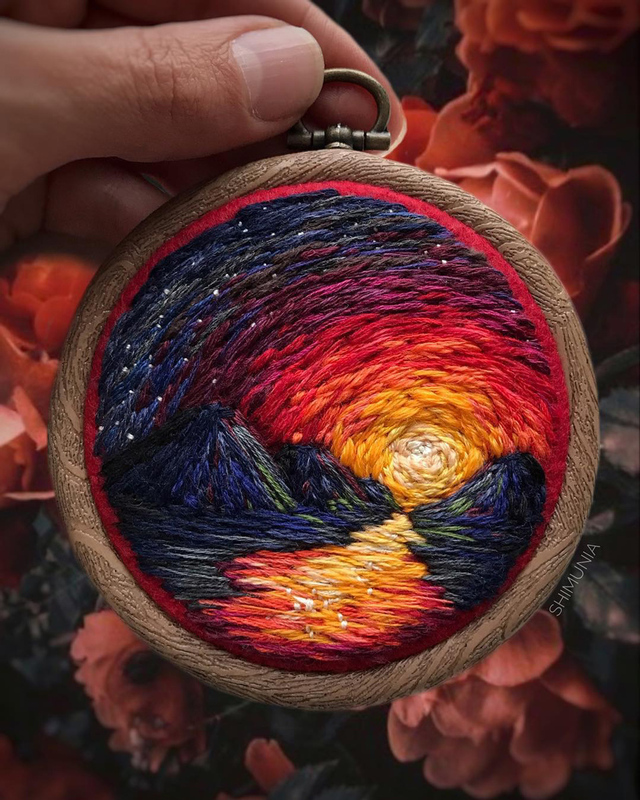 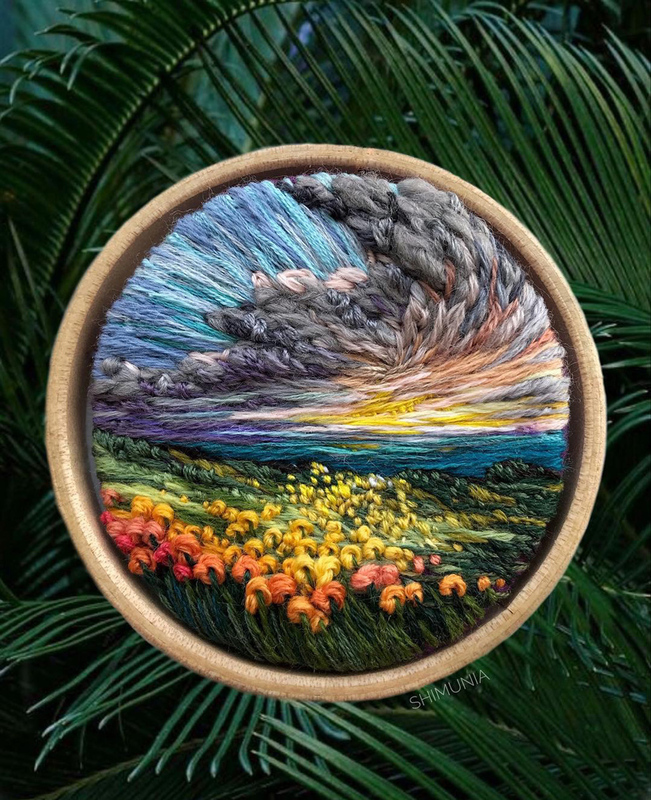 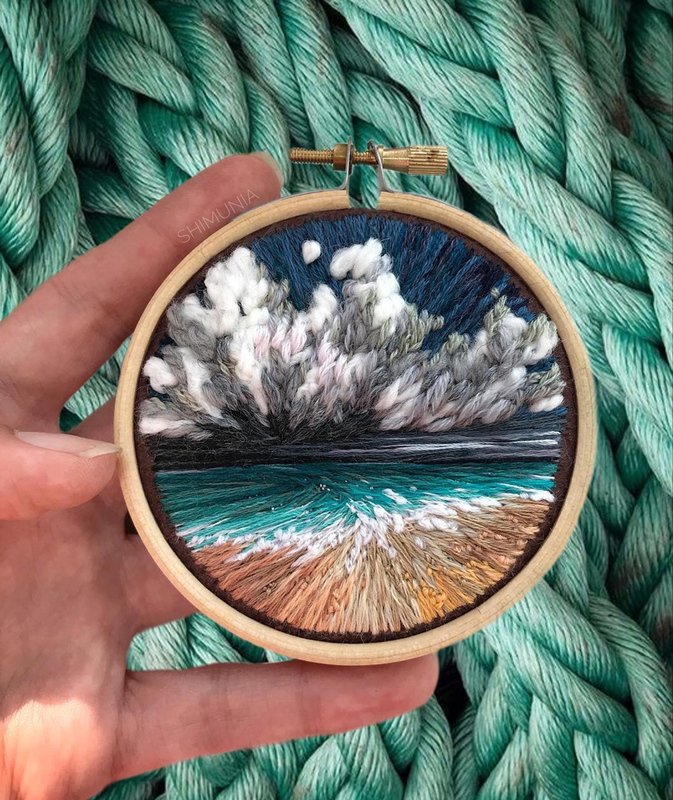 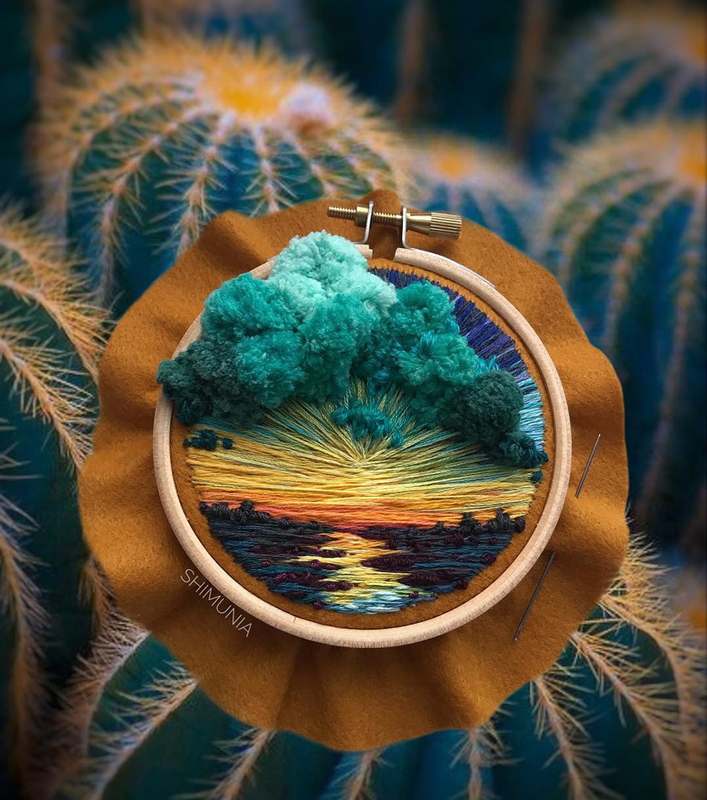 with a full spectrum of embroidery threads, shimunia renders the vibrant scenes into palm-sized hoops. 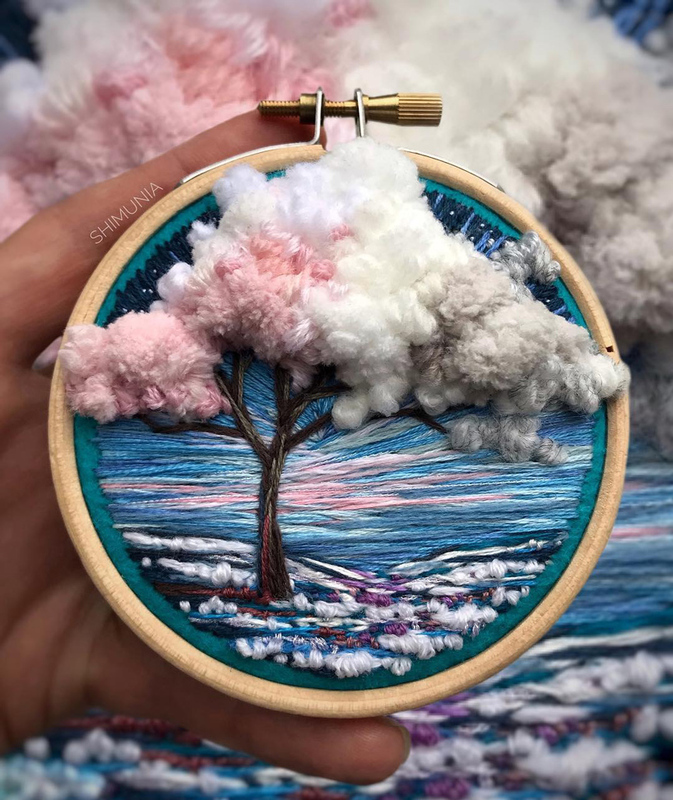 she conveys depth and dimension through various the use of textured threads and three dimensional fibers, as well as different stitch and knot techniques.